Richly formulated with Selected of Camellia Oil. The NEW Tsubaki Hair Oil! Formulated with high concentration of selected camellia oil to deeply protect, moisturise and repair your hair, resulting in a luxurious shine. Instantly penetrates hair upon application without feeling greasy or sticky and gives a silky smooth finish. Protects your hair from damage by UV rays and heat from hair dryers (or other styling equipment), while preventing split ends and hair breakage. Elegant and indulgent scent of floral and green fruity notes. Effects of Selected Camellia Oil. – Prevents cuticle damage and makes hair feeling smooth. – It produces abundantly beautiful and shiny hair upon application. – Change in Hair Shine before and after use. Reviews: Due to frequent coloring and rebonding, my hair tends to be dry and frizzy. It becomes harder to manage daily. 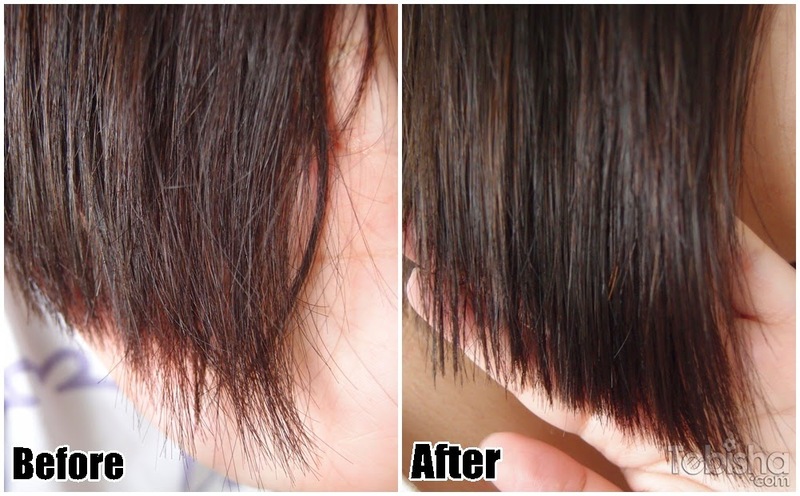 After using Tsubaki Hair Oil, my hair becomes smoother and neater. I applied after washing my hair every night then blow dry. The frizziness disappear instantly, even until the next morning my hair still remain the shine and easier to manage. No Bad Hair Day for me! $26.90 (60ml) exclusively in Watson Stores!